The US oil and gas industry is booming. Natural gas production has increased by 50 per cent in the last decade, with crude oil production up 140 per cent in the same period. Now also on track to become the world’s third largest Liquefied Natural Gas (LNG) exporter, US oil and gas production could even outpace Russia and Saudi Arabia by 2025. In December 2018 the US exported more oil than it imported for the first time ever. Asserting itself as an energy producer no longer reliant on importing from other countries, the US is positioning itself as a global leader in oil and gas production. However, expanding its midstream infrastructure to cope with the increased energy supply is proving a challenge. Pipelines exist across the US for the transport of crude and refined petroleum, fuels – such as oil, natural gas and biofuels – and other fluids. This method for distributing oil to various market areas for consumption is currently the safest and most cost-effective way to move energy, but the current network of pipes in the US is not substantial enough to manage the industry’s increased supply. The Permian Basin is the top producing oil field in the US. However, a lack of crude oil pipelines has slowed its growth in the labour market – also impacting other basins such as the Bakken in North Dakota and New Mexico’s part of the Delaware Basin. Employment in the Permian grew by 1.4 per cent between September and October 2018, but the pace of job growth slowed significantly from the 11 per cent growth rate seen in the first six months of the year. Now producing an estimated 3.7 million barrels a day, over-production in the Permian is also causing issues. Lacking the infrastructure to transport excess natural gas, operators may be forced to flare it. This means wasting a valuable energy source and producing unnecessary CO2 emissions. Last year it was reported flaring in the Permian Basin averaged a record 407 million cubic feet per day – but the situation could be worse than initially reported. An analysis of government satellite data from the Environmental Defence Fund suggested energy companies flared twice as much natural gas than was reported to state regulators. New York and the six New England states also lack midstream infrastructure. The regions are increasingly reliant on natural gas to meet their energy demands, but a reluctance to build new pipelines is significantly slowing the distribution of natural gas. This could prove dangerous during periods of peak energy demand. To truly capitalise on an otherwise-booming oil and gas industry, the US needs to evaluate how to best manage and grow a network of pipelines that will support its increased production. 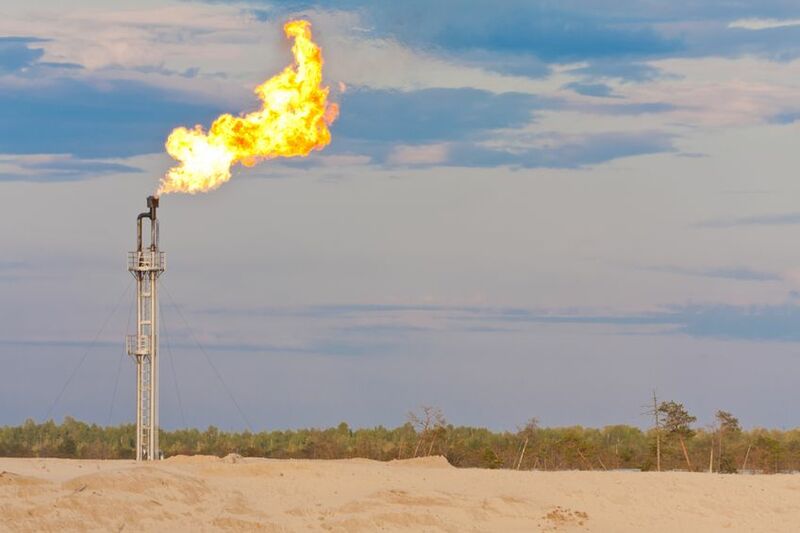 Now being used in some areas as a stop-gap method for disposing of excess natural gas, it is important for operators to accurately measure and monitor flaring levels. For more information on Fluenta’s FGM 160 Flare Gas Meter, click here, and for more on flaring in the Permian Basin, click here.